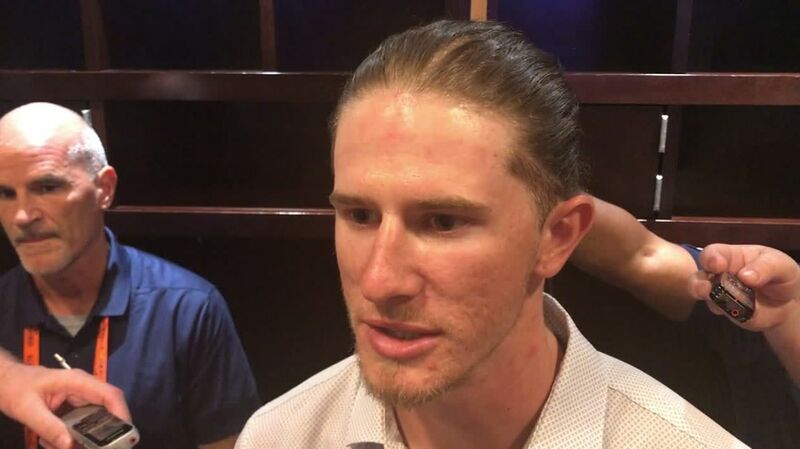 SAN FRANCISCO -- In Josh Hader's first road game since his racist, misogynistic and anti-gay tweets were unearthed, the Brewers All-Star reliever received a reception far different from the standing ovation bestowed upon him by Milwaukee fans last Saturday. As Hader warmed up in the bottom of the sixth of Milwaukee's 7-5 winover the San Francisco Giants, nobody seemed to be paying much attention. When he jogged in from the right-field bullpen with two outs in the inning, though, the boos began when he crossed the foul line and grew in volume the moment his name was announced. It was loud, but neither unexpected nor extreme. "Like I've said, I can't control what people are going to say to me," Hader said after throwing 1 1/3 hitless innings and earning the win. "I made mistakes in my earlier years. I've just got [to go] out and focus on what I've got to do, and that's get outs and help this team win." Of the boos, Hader said, "I heard a lot, but l can't let my mistakes distract me from my job going forward." 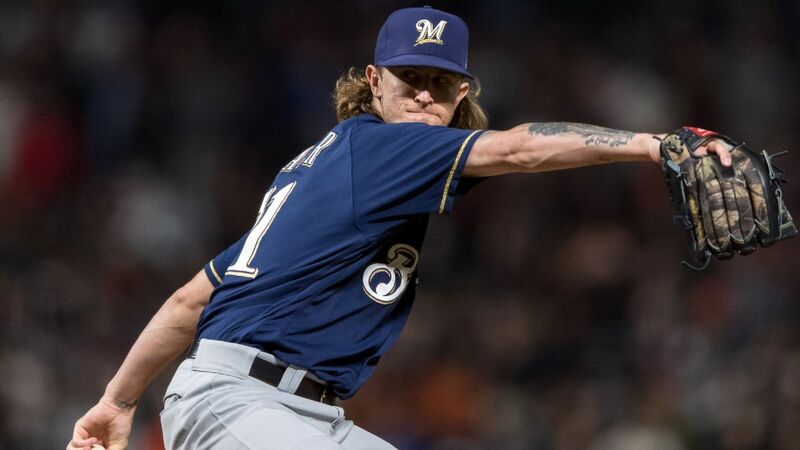 The response in Milwaukee, whether viewed as a reaction to Hader's unqualified apology or a tacit acceptance of the views he espoused in high school, created an expectation: There would be hell to pay as soon as the Brewers took to the road. The fact that the first stop was San Francisco, which fashions itself as the enemy of intolerance, added to the expectation of a massive public shaming. And while the reaction to Hader was decidedly negative, it was far less vigorous -- and less visceral -- than the anger directed at Giants reliever Mark Melancon, who gave up two runs in the eighth and took the loss. In fact, the fans booed Hader just as loudly every time he threw over to first as they did when he entered the game. "I think the approach we've tried to take with Josh is, 'Let's move forward,'" Brewers manager Craig Counsell said. "From our perspective, it's important that we love him and we support him. Make his days as normal as possible." To that end, Counsell said he didn't speak to Hader about what to expect Thursday night, or how to handle it. "Look, this is hanging over Josh," he said. "He's hurting. He feels this every day, and that's not going to go away after today. So we're on the road, it's something different. But, you know, it's not going to go away today." Hader, now 24, was 17 at the time he wrote multiple offensive tweets that have sparked a series of debates over everything from the age of reason to the perils of social media to baseball's diversity problems to the gradual coarsening of American discourse. The standing ovation has been contrasted with the derision NFL players have received for kneeling during the national anthem to protest police brutality and injustice in the criminal-justice system. "Obviously, I don't like what I said back then," Hader said, clearly uncomfortable addressing the subject. "I obviously regret what came out. But we live and we learn as human beings. We're not perfect. You learn from what you do, and I'm a better person from it."